The Mount Washington Village is the heart and soul of the Mount Washington experience. Nestled amongst soaring Mountain Hemlock and fir trees, the village contains snow-seekers, outdoor enthusiasts, long-time locals, home owners and a myriad of international visitors looking for fresh mountain air and some of the deepest snowfall found on the planet in winter, plus endless hiking and biking in summer. Ski-in/ski-out accommodation are a staple of the community, ensuring you, your family and friends will be the first up the chairlift in the morning! Our village offers year-round vacation rentals and investment opportunities for those looking for an edge-of-the-wilderness experience, while staying in the comforts of a full-service alpine resort. A stone’s throw from the ocean, your true alpine to surf destination is right here waiting for you to become a part of it! Click here to view an illustrated map of the Mount Washington Village! Apart from the myriad of residents calling the Mount Washington Village home, visitors can book one of over 600 accommodation units which include everything from hostels to gorgeous timber-beamed chalets. In all, over 4000 beds are waiting for visitors to rest their heads. The village is the gateway to BC’s oldest park, Strathcona Provincial Park, which offers meandering nature trails and alpine hikes to majestic peaks. Alpine trails are just steps from your cabin, where curious Whiskey Jacks pop down to say hello; you might even spot a unique Vancouver Island marmot on the rocky mountain slopes. Mount Washington Alpine Resort, the mountain resort that forms the nucleus of the community, operates year-round. The Alpine Lodge is the hub of activities, offering dining options, shopping, activity booking and rentals. Meeting and conference facilities also exist in both the Alpine Lodge and at the popular, breathtaking Raven Lodge. The Comox Valley Aiport (YQQ) is a full-service airport accommodating passenger jets. Comox Valley Airport offers direct daily flights from Calgary, Edmonton and Vancouver International Airports and is serviced by WestJet, Air Canada and Pacific Coastal Airlines. A convenient door to door shuttle service is offered by Ambassador Shuttle Service. Ferries deliver drivers and walk-on passengers from the Lower Mainland of BC to Vancouver Island via BC Ferries. Take the Tsawwassen to Duke Point route if you’re travelling from the airport or South Vancouver, or try the Horseshoe Bay to Departure Bay route if travelling from the North Vancouver area taking the Trans Canada Route 1. If you’re on the Sunshine Coast, BC Ferries offers service between Powell River direct to the Comox Valley. If visiting Mount Washington from the USA, the COHO Ferry from Port Angeles to Victoria is a popular scenic ferry route and the 3-hour drive from Victoria to Mount Washington has many amenities and viewpoints along the way. Car rentals can be arranged and picked up at Comox Valley Airport, making this an easy and quick gateway to the mountain. The Mount Washington Village is easily accessible by car via the Strathcona Parkway, which is exit 130 on Highway. We are located 25km west of the Comox Valley, 50km south of Campbell River and 100km north of Nanaimo. On the way to Mount Washington, stop in or call the Vancouver Island Visitor Centre, located just off Exit #117, Highway 19. The award winning Vancouver Island Visitor Centre offers lift passes, marine & outdoor adventure & culinary tours, and provide first-hand visitor information from a team of friendly, knowledgeable staff. VIMC provides programs and services that enhance access to the mountain environment. Environment awareness, safety and survival in mountain climates and educational field experiences in all mountain terrain are explored. Building youth one turn at a time – the Mt. Washington Ski Club provides a family-oriented environment in which members make friends, develop a passion for Alpine Skiing and Alpine Ski Racing, and achieve excellence in a sportsmanlike culture. The Mount Washington freestyle experience! Pristine powder runs, instructor qualifications, slopestyle prowess or perfecting technique – wherever you want to take your kids riding, MWFC will help them make the perfect run. Every one of our freestyle ski courses and training camps and our mogul program are run against the backdrop of Mt. Washington, Canada – consistently rated one of British Columbia’s top destination resorts. All about Vancouver Island Riders! VI Riders coaches provide freestyle instruction built around the Long Term Athletic Development model (LTAD). The aim is to provide fun, confidence-building snowboard training for all levels of freestyle skill and teach safe snowboard practices. Whether your goal is to build confidence in the terrain park, to compete and get on the podium, or simply to meet and have fun riding with other snowboarders, VI Riders will help you develop the skills necessary to achieve your goals. 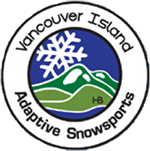 The Vancouver Island Society for Adaptive Snowsports is a non-profit charitable society focused on providing Nationally Certified Snowsports Instruction to the physically challenged or developmentally delayed. They believe that people with adaptive needs should have an equal opportunity to participate and enjoy Alpine (skiing or snowboarding) or Nordic (cross-country) snowsports. The Vancouver Island Mountain Sports Society (VIMSS) is a non-profit organization that formed in 2003. The catalyst for its formation was the IOC announcement that Vancouver would be the host city for the 2010 Olympic and Paralympic Winter Games. Strathcona Nordic Ski Club is Vancouver Island’s cross-country ski club. SNSC is a not-for-profit society dedicated to skier development and the promotion of nordic skiing for fun, fitness, recreation, and health, and is also working to improve the infrastructure and facilities for nordic skiers on Vancouver Island. The Vancouver Island Biathlon Club is a biathlon club based out of Mount Washington. Biathlon is an Olympic sport that combines the physical challenge of cross country skiing with small bore rifle marksmanship. VIBC boasts one of the best, fully-automated ranges on Vancouver Island. The First Nations Snowboard Association (FNSA) is a registered Canadian nonprofit association. The FNSA develops recreational and high performance First Nation snowboard athletes. The FNSA is working to establish a legacy of active, healthy First Nation youth using the winter sport of snowboarding as a fundamental tool for excellence. Established in 2004, the FNST has hundreds of members from more than 12 Nations across Canada from BC to Nova Scotia.